The first debate takes place on September 26. It will be held at Hofstra University in the city of Hempstead, New York. The first debate will include the candidates of the two main parties. Former Secretary of State Hillary Clinton is the nominee of the Democratic Party. The Republican candidate is businessman Donald Trump. The other parties will not be represented at the first debate. The Libertarian Party, for example, has nominated former New Mexico Governor Gary Johnson as its presidential candidate. The Green Party chose Jill Stein, who also served as its candidate in the 2012 elections. The moderator of the first debate will be television news anchor Lester Holt. The debate will be 90 minutes long. The three topics for debate will be America's direction, achieving prosperity and securing America. Each topic will be debated for close to 30 minutes. Holt will begin each topic with a question, and each candidate will have two minutes to respond. Candidates will also have the opportunity to respond to each other. Many think the first debate could make history by drawing the largest audience ever to watch an American political event. American presidential debates and the media have a 56-year history. In 1960, Republican Vice President Richard Nixon debated Democratic Senator John F. Kennedy. The subject of the debate was domestic policy. The issues they discussed included education, health care, farming, the economy, labor and the Cold War. But what the 1960 debates showed was how television was changing politics. In the first debate, radio listeners said Nixon won. Those who watched on television said Kennedy was the better debater. The difference in the audience's perceptions had to do with the candidates' appearances. Kennedy looked tanned and youthful on television. Nixon wore a gray suit that blended into the television studio background. Nixon – who was recovering from an illness -- also looked pale and thin. A few months later, Kennedy won a narrow victory in the election. In 1980, President Jimmy Carter debated challenger Ronald Reagan. Carter led in the political polls before the debate. But Reagan was a former actor and comfortable in front of a studio camera. Reagan's relaxed performance during the debate helped secure him an easy victory. The 1992 debates featured three candidates. President George H.W. Bush faced challengers Bill Clinton and Ross Perot. During their conversation, Bush checked his watch. Some thought Bush's glance at his watch as a sign he was bored with the debate. Bill Clinton went on to win that election. 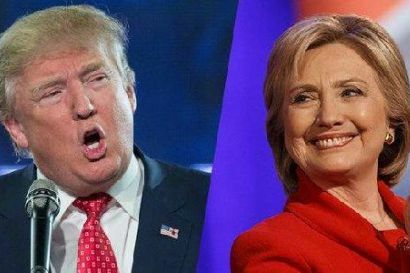 They have reached unanimity on who will be the presidential candidate for the next general election. She darted a glance at me. 1.The first debate takes place on September 26. 2.The subject of the debate was domestic policy. Tax reform has become the central pivot of their domestic policy. In domestic policy, an organising principle directs the innovation.